The “Martini Suite” bedroom collection captures the beautiful look of rich contemporary styling with a unique flair that is all its own. 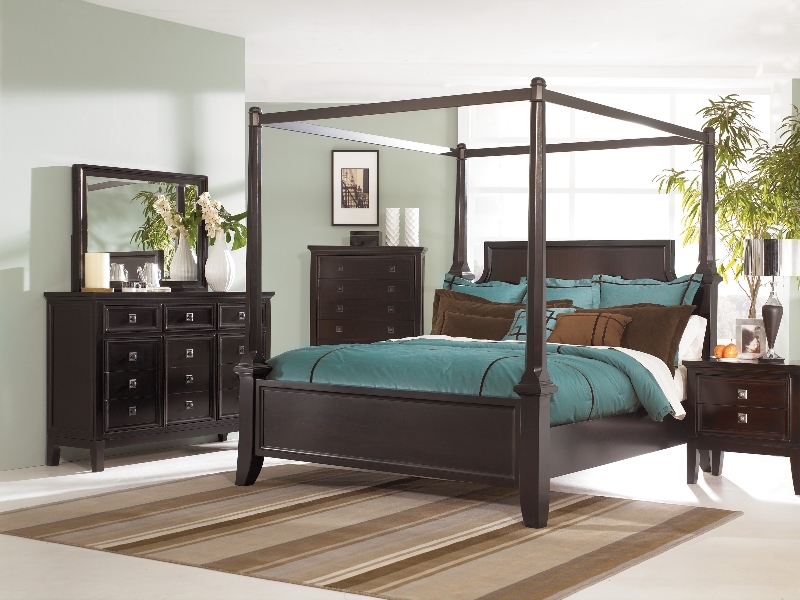 Beautifully bathed in a rich luxurious sable stained finish, the contemporary design features tapered legs and posterbed posts accented with a stylish canopy. The platform style bed is covered in a bright contemporary upholstery and is support by the rich finished high leg design. The case pieces are adorned with the sophisticated look of picture frame hardware and beautifully shaped drawer fronts. Complete the style of any home decor with the contemporary design of the “Martini Suite” bedroom furniture collection. Contemporary sable stained finish. All drawer interiors completely finished in contrasting cherry color. High leg case design. Doors and drawers set in a contemporary bead moulding. Full extension ball bearing side glides. Removable felt lined jewelry trays. Headboard and footboard posts packed in one box. Sophisticated picture frame hardware.